Thank you for joining The Philosopher's Wife, along with Everything Mommyhood, and Gugu Guru for this giveaway! Gugu Guru is an online personalized baby registry that finds and delivers perfect match products based on a mom's unique lifestyle and personal style. With thousands of baby products on the market it can get extremely overwhelming trying to figure out your baby registry. The last thing any mom-to-be needs is stress! Gugu Guru's team of baby gear experts and in the know moms created Gugu Guru to help define your lifestyle needs with the very best products you’ll need for your baby’s first year of life. Their edited list of baby must-haves is tailor made to your lifestyle—not your best friend’s. Think of them as your very own personal shoppers for your baby registry. Kick up your (swollen) heels and let Gugu Guru do the heavy lifting. There are three easy steps to your personalized registry on Gugu Guru. Everything Mommyhood asked moms on social media to get the BEST budget friendly baby registry items and we decided to have a giveaway for these items in honor of this great new online service provided by Gugu Guru. 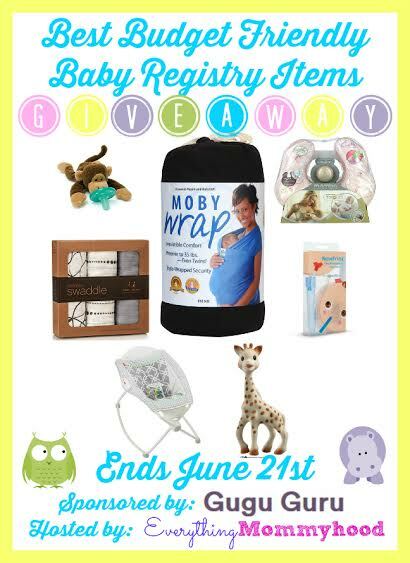 Here's what we have come up with as must haves that are budget friendly: - Aden and Anais Swaddles - Fisher Price Rock n Play Sleeper - Moby Wrap - Sophie The Giraffe - Nose Frida - Mombo Pillow - Wubbanub. These items range in price from $12-$60, so they are great options for baby without breaking the bank. Not to mention, these are the most suggested, must have items from moms on social media. So, I'm curious. Did/do you have any of the listed products? I have used different variations of some of them for my kids. Both have loved a very simple bouncer. (Seriously, it was worth it's weight in gold!) I must say the Sophie teether always seemed it a bit pricey, but I've yet to meet a mom who had one and didn't love it. 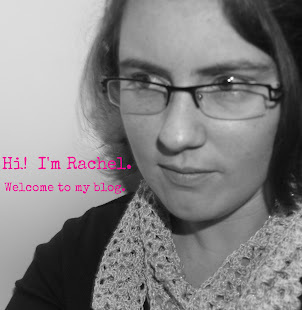 I also think that baby wearing has been a life saver for me. It might not be for everyone, but if you find a carrier that works for you then it is worth any price! Open to US residents, 18 and up. Void where prohibited. One entrant per household/IP address. Winner will be chosen randomly and will be emailed, they will have 48 hours to respond before a new winner is chosen. Giveaway ends June 21st, 2015 at 11:59pm EST. Disclosure: The Philosopher's Wife was not compensated for the posting of this giveaway and is in no way responsible for the prize fulfillment or shipment. Gugu Guru is solely responsible for prize fulfillment/shipment. This giveaway is in no way affiliated, endorsed, or associated with Facebook, Twitter, Pinterest, Instagram, or any other social media outlet. If you have any questions concerning this giveaway or would like to see your product featured, please contact everythingmommyhood@gmail.com.